So my three Prinstagram Tinybooks arrived, and they’re pretty adorable. And tiny. I knew they were just 1.7 by 1.5 inches, but until they arrived, I didn’t realize how small that would be. One very cool thing about them: They’ve got magnets inside. 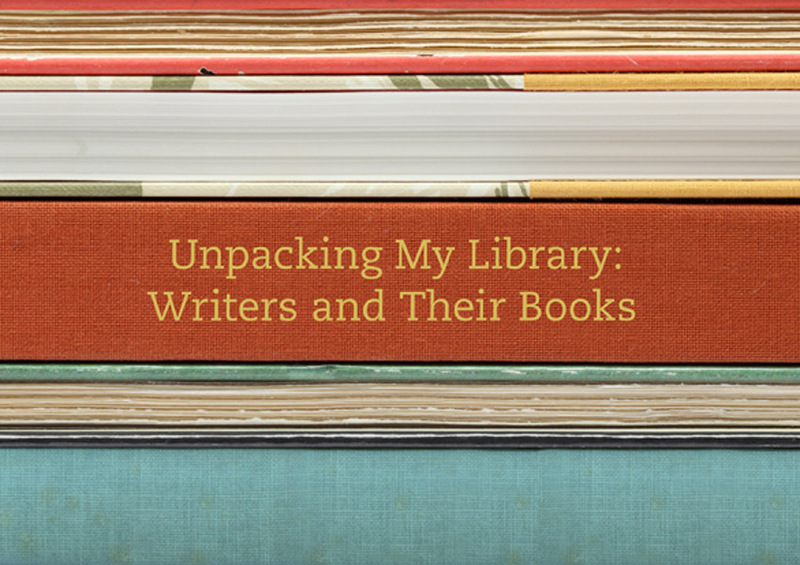 Yes, that’s right: You can put your book on the fridge. For this month’s book for my 12 Books project, I tried something completely different (well, different from the short story I published as a Kindle book): a tiny photo book. With Printstagram, you’re able to select 24 of your Instagram photos, then get three copies of your book for $10. The books are small: just 1.7 by 1.5 inches. But for the price, it’s a pretty good deal. But here’s what’s interesting: It’s also got something in common with the artist’s book — books designed and printed by designers, illustrators, photographers, and other artists. They’re made independently, the print run is small, and they’re intended as works of art. Though I don’t plan on selling my little books, I could see how a photographer might print, say, 50 of these, then sign and inscribe them, and offer them at $10 a pop. Just another interesting opportunity in the evolving world of the book. I’ve got an article at the website Connect (part of Digital Photography Review) about what I see as a dilemma for fans of Apple’s iOS and iPhone photography apps. Smartcameras are starting to appear — that is, point-and-shoot cameras with the Android operating system and photo apps — and I fear that Android, and not iOS, will dominate this smartcamera trend. I’d love to buy a smartcamera at some point, but I would want it to be a camera with iOS apps — that is, all of the photography apps I’ve got on my iPhone. Will that happen? I’m not quite sure, and in my Connect article I come up with a bunch of scenarios (Apple buys Nikon, Apple introduces its own digital SLR, etc.) for how things will shake out. Realistic ideas? Not always, but it’s fun to speculate. If you’re wondering about the smartcamera trend, check out my posts about smartcameras and Android cameras at What I See Now. 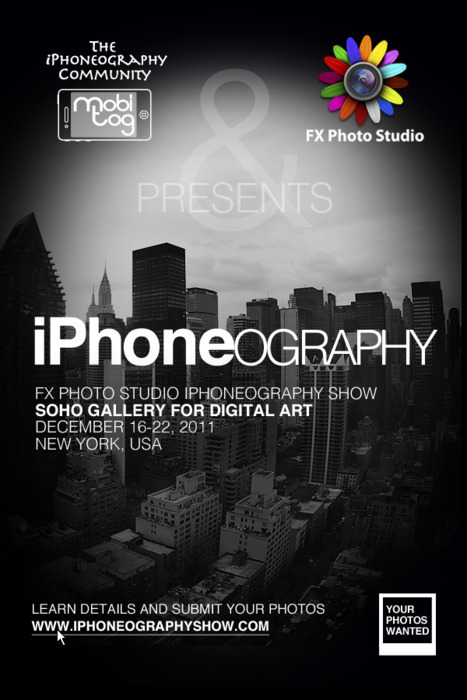 Save the date: There’s an iPhoneography show in New York City, and I’ll be there for the opening on December 16. The exhibition will feature 200 photos, with more than 8,000 photos having been submitted. Interested in seeing your photo on the walls of the Soho Gallery for Digital Art? You can submit until December 10. Learn more. Over at my What I See Now blog, which is all about iPhone photography, I’ve got a new project: 100 Photo Apps. The idea is pretty simple: Over 100 days, I’ll post 100 images from 100 different iPhone camera and photography apps. I’m thinking of the project as a way to showcase the best photo apps and also highlight what’s possible with iPhone photography and the iPhone camera. Which is quite a lot. There are Photoshop-like image editors for the iPhone, photobooth apps, and lots of tools for recreating the photographic techniques and tools of yesteryear. If you want to get a sense of the possibilities, check out my 100 Photo Apps posts at What I See Now, and also think about viewing this video I put together for my book, Create Great iPhone Photos.